In this booming economy, Americans looking for work in a variety of industries have seen prospects improve and wages increase. To some pundits and lawmakers, however, certain sectors are far more important than others and should be bolstered even at the cost of other jobs. In response to research that find multiple jobs lost for every “green” job created, studies claiming economic benefits from renewable subsidies receive quite a bit of media attention. In light of competing claims, what are consumers and taxpayers to make of the government-supported renewables sector? The Solar Foundation’s 2017 Solar Jobs Census Report provides a useful benchmark for assessing the state of the industry, and keeping everybody informed about the results of government spending. After combing through data collected by 2,389 energy establishments, the foundation concludes that the number of solar-supported jobs contracted by 3.8 percent between 2016 and 2017. After an increase in solar jobs by more than 20 percent between 2015 and 2016, a decline may seem surprising. Considering the policy climate, however, the turnaround makes perfect sense. Faced with the prospect of a lapse in a key federal renewable tax credit, companies and installers when on a project binge in 2015. This artificial boom meant that solar projects that would have been spread out over the next few years were moved up to 2015. This frenzy meant that, even after the tax credit was in fact renewed in December of that year, activity in the solar sector receded quite a bit. And, as renewable tax subsidies are slowly phased out through 2021, activity will likely slow down further. This extension also guarantees renewed market instability in a few years’ time, as the debate over whether or not to further extend the credit are renewed. Even if private investment can partially fill the gap left by the phase-out, skills mismatches are bound to hold back the solar industry. The Solar Foundation’s report finds that 85 percent of solar employers experience at least “some difficulty” in finding qualified workers, with 18 percent encountering a great deal of difficulty. This is an uptick from last year, when “only” 80 percent of employers experienced at least some difficulty recruiting talent. The chief culprit according to the report is a lack of required experience, which will continue to worsen as the most experienced engineers and technicians continue to retire. These caveats, however, don’t stop the doundation from doting on the upside of the solar industry. Reports of “strong” multi-year trends without a thorough discussion of tax incentives should be taken with a grain of salt. The Solar Foundation is, after all, closely aligned with the Solar Energy Industries Association, a trade group that advocates on behalf of solar energy equipment installers and manufacturers. Moreover, the foundation’s staff is hardly impartial to solar interests. Andrea Luecke, the doundation’s president and executive director, previously worked for the city of Milwaukee’s U.S. Department of Energy Solar America Cities program, “Milwaukee Shines,” where she helped Milwaukee implement policies aimed at increasing solar energy capacity. This web of organizations and companies has a vested interest in defending the non-utility solar sector, where nearly 70 percent of sectoral employment is concentrated. 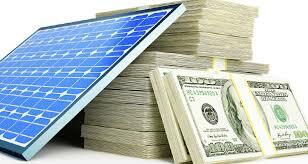 Rooftop solar, however, is among the most cost-inefficient renewable technology, and wholly dependent on subsidies. Advocates of the distributed-generation (i.e. rooftop solar) industry argue that channeling money into solar energy has important social benefits, since the free-market is allegedly incapable of dealing with climate-change. But even if carbon carries a hefty social cost, our system of corporate welfare is still wasteful and inefficient. Utility solar is already reaching price parity with conventional energy generation in many areas even after removing subsidies from the equation. This sector has a far lower price per watt of energy produced, and requires far fewer labor and permitting costs. In contrast, the rooftop solar market would collapse without federal subsidies like the investment tax credit (ITC), and state net-metering regulations that increase prices on other utility customers. At every step of the way, government officials are all-too-willing to fleece taxpayers to fund dubious promotion schemes. A congressional investigation into the Department of Energy revealed, for instance, that organizations routinely promote rooftop solar with public monies. The Interstate Renewable Energy Council (IREC), which received millions of dollars in taxpayer subsidies over the past nine years, advocates for onerous net-metering subsidies at the state level and provides technical assistance on panel installations. Rather than providing poorly-targeted subsidies to organizations pushing inefficient “renewable” technologies, the government should let customers determine the best ways to power our country. Utility solar will likely continue making inroads on price and quality, even in a subsidy-free environment. But companies promoting expensive, labor-intensive technologies should not expect taxpayers to foot the bill for their delusions of grandeur.